Here’s a recipe that I’ve been making for a few years now, which probably makes an appearance at least once a month. Normally when I’m craving something sweet and I’m not in the mood for cooking anything. This protein chocolate mousse a winner every time. It never gets old, because there are so many flavour combinations you could use (I’ll share some of my favourites below), and it takes literally just a few minutes to make. Why the “Mediterranean” you ask? 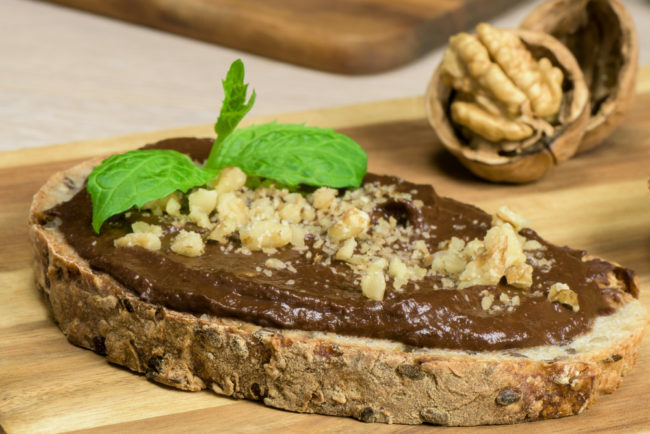 That’s because of the healthy monounsaturated fats you’ll find in the mousse, the same suggested to be one of the major advantages of a Mediterranean diet style of eating. Oh, and by the way did I mention that it’s made with avocado? Thought I’d slip that in there. But trust me on this one, it works! As a spread with chopped walnuts or hazelnuts works great! Ever tried making an iced coffee and putting a little ripe avocado in there? Blending a little in to a chocolate protein shake works well too. 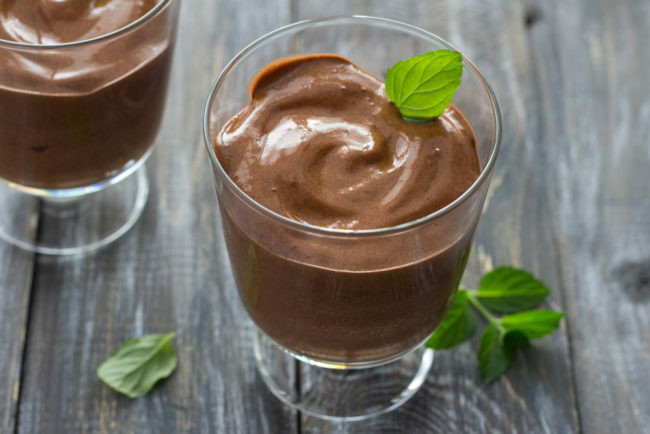 It adds a creaminess and texture to this chocolate protein mousse you’ll find hard to get elsewhere, plus it’s packed with those healthy monounsaturated fats that we’re after. Heart and body fat friendly Oleic acid being one of them. The olive oil might sound weird too, but again it just works and adds to the flavour and overall goodness of it all. In this recipe I’ve used chocolate protein powder to give this mousse a little extra boost, but you’re welcome to make it without. 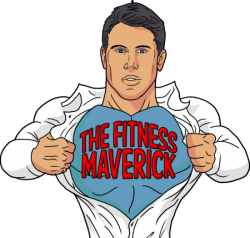 I’ve used whey, whey-casein blends, hydrolysed collagen, brown rice protein, hemp protein and a vegan blend (For a plant-based protein I like THIS one). They all seem to work, although some do give a grainier texture than others. Whatever you normally have lying around should be fine though. 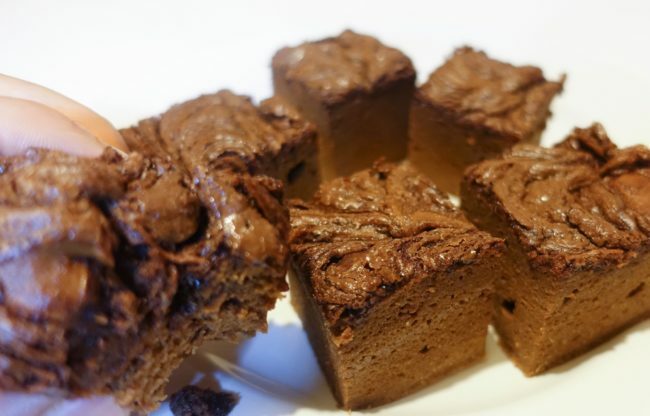 This protein chocolate mousse also makes a great spread. Anywhere you’d put Nutella spread you can use this instead. In fact, add some chopped hazelnuts in there and it’s not far off. And let’s be fair what wouldn’t you put Nutella on!? 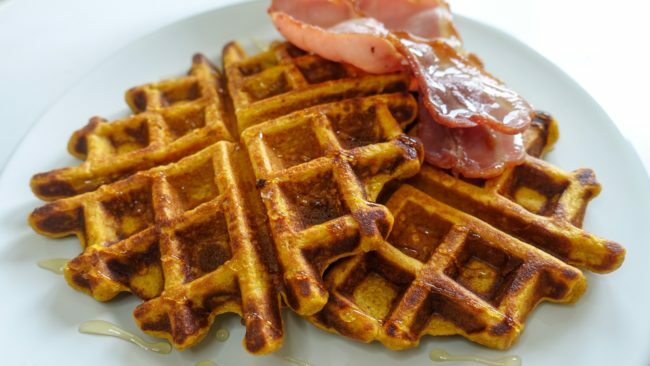 Waffles or pancakes could be a good shout! If you don’t use a flavoured protein powder, I’d recommend adding a few drops of stevia, or natural sweetener of choice. Using a blender or food processor simply combine all the ingredients until a smooth mousse texture is formed. Adjust the amount of almond milk until you find a texture you like. Place in the refrigerator to set a little or eat immediately. Add your favourite toppings before serving.